my summer harvest went on the wall last night. 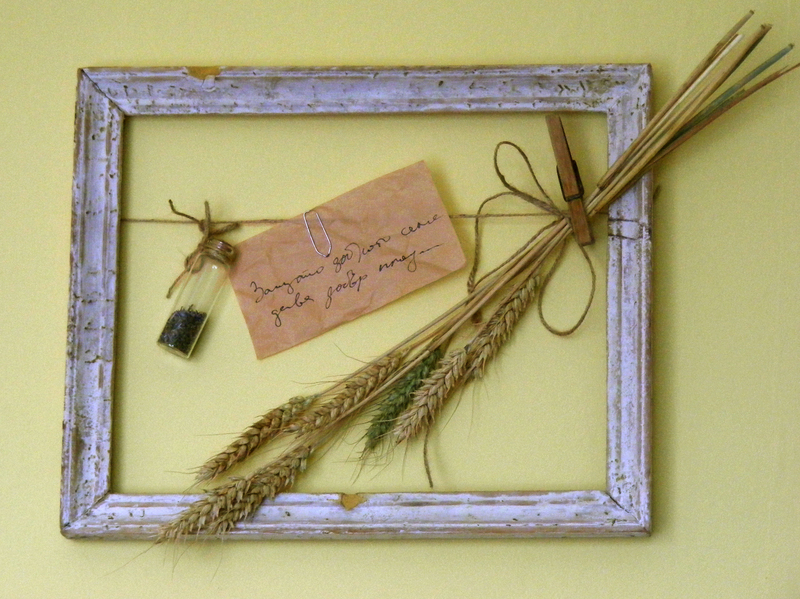 I placed a capsule of lavender and a cluster of wheat in an old frame I took from Gran. now, I have to say I didn’t produce the lavender non the wheat, I gathered both from along the road. yet I don’t consider them stolen because I didn’t keep them for myself, I shared them with you! Много артистично и вдъхновяващо решение – адмирации!